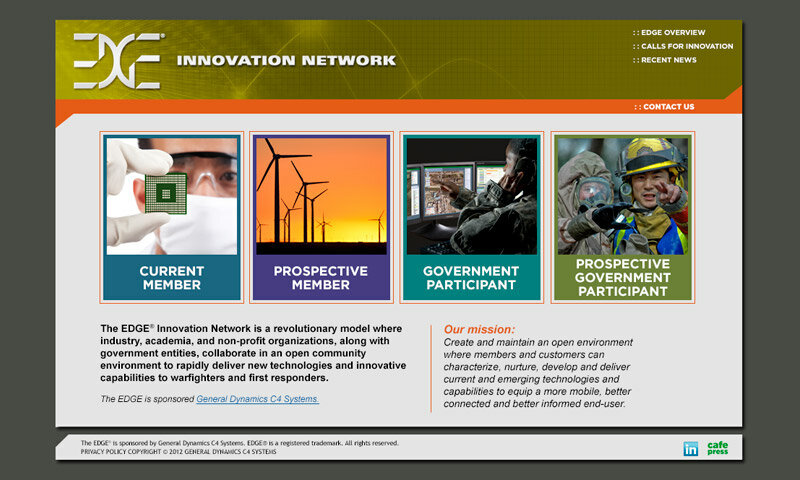 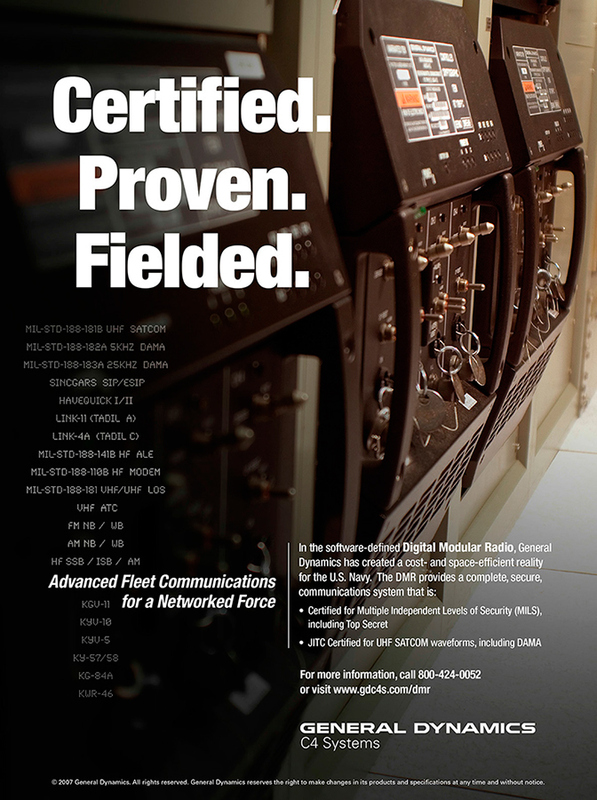 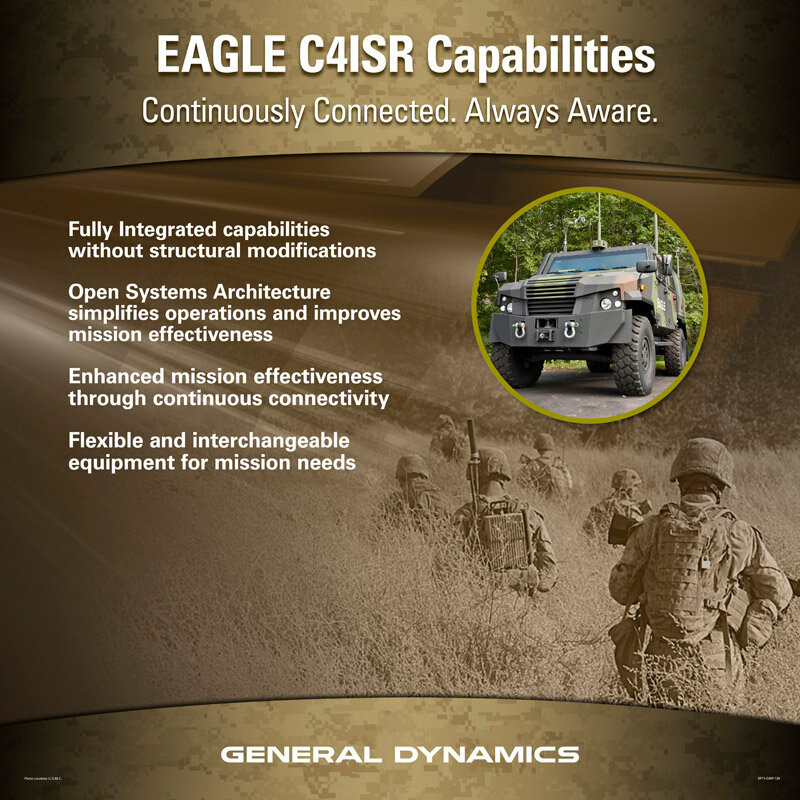 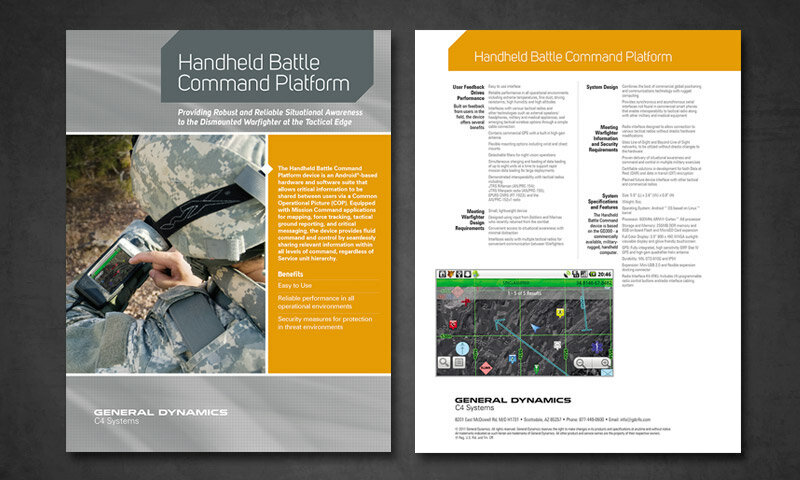 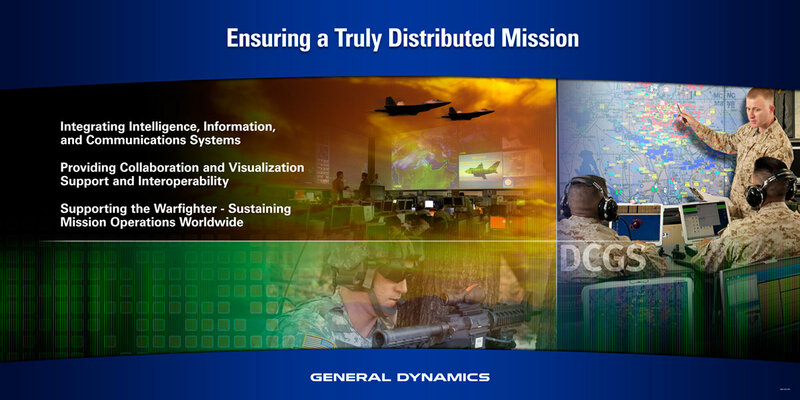 The following are a few samples of my work that I developed for General Dynamics C4 Systems. 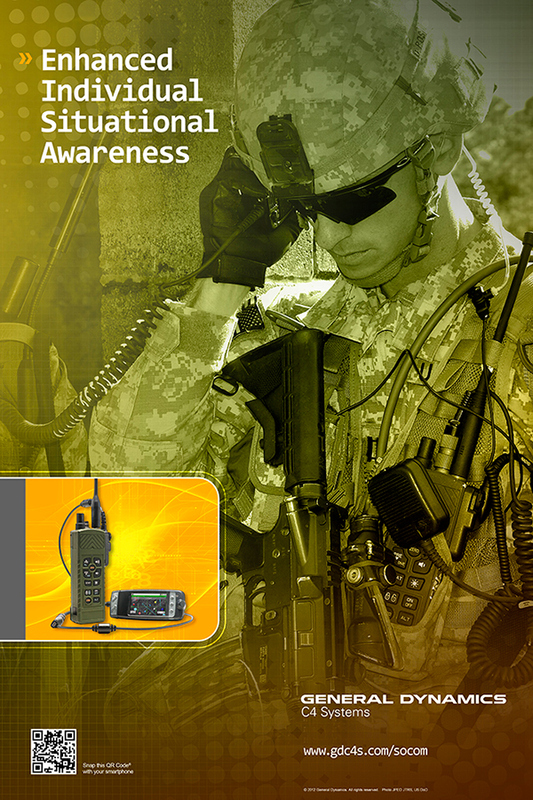 The work consists of ads, tradeshow graphics websites and event graphics. 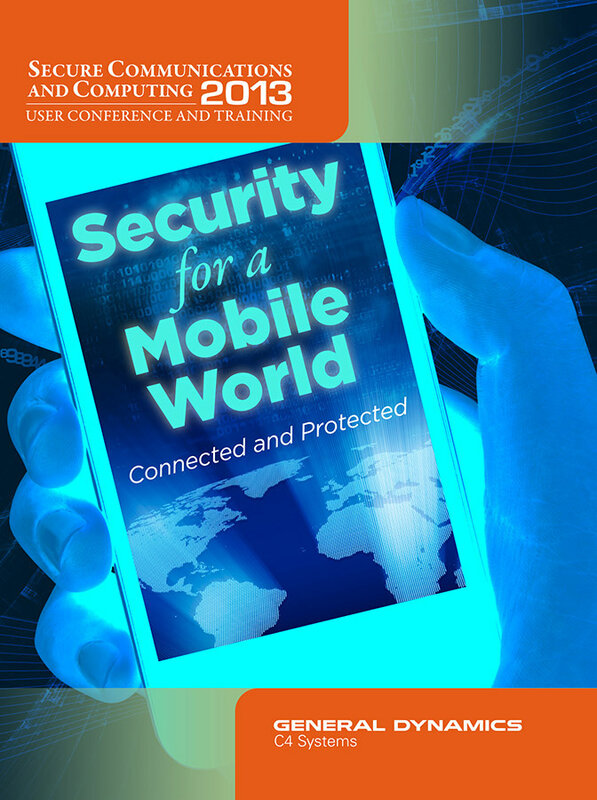 Theme graphic for the User Conference held in Las Vegas. 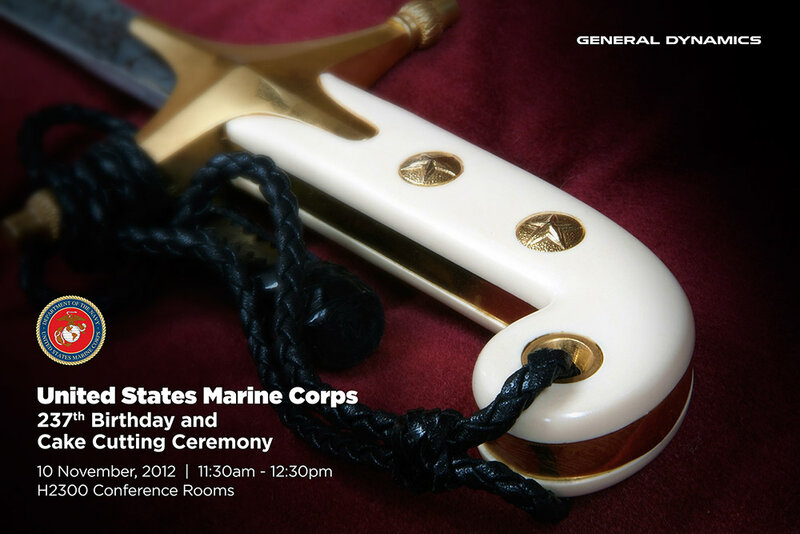 Poster for the 237th U.S. Marine Corp. birthday celebration. 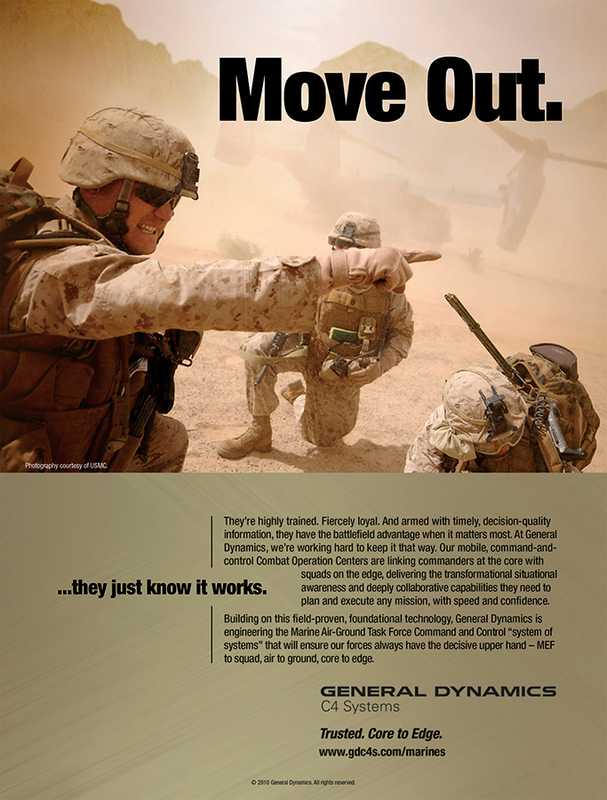 Awareness Ad for Modern Day Marine. 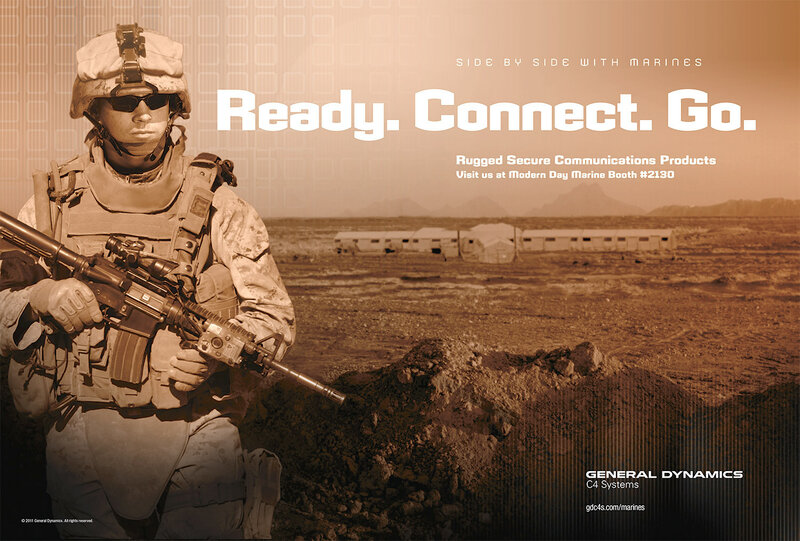 Tradeshow graphic for Modern Day Marine.